Three years later, we're still not over Broadway musical sensation Hamilton—and neither are Meghan Markle and Prince Harry. On Wednesday evening, the duo arrived at Victoria Palace Theatre in London for a special performance of the show in support of Prince Harry's Sentebale charity, which helps young people affected by HIV. 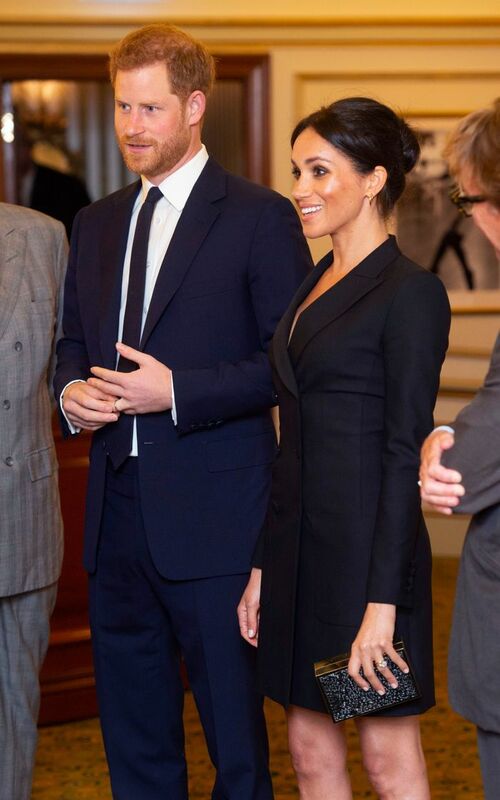 For the occasion, the Duchess of Sussex arrived in the Judith & Charles Digital Dress ($595), which is currently sold out in black but still available in a deep purple color. The choice may be an homage to Markle's time in our neighbor to the north, as the brand is made locally in Canada. Scroll down to see how Markle styled the blazer dress and to shop the look.